Franz Josef is totally unique in the fact it has a rainforest climate, yet it is situated just 200m above sea level. Located on the west coast of the South Island, the small town of Franz Josef is more widely known due to the location of the giant glacier of the same name. Franz Josef is one of the wetter regions of New Zealand, with slightly higher levels of rain expected all year round, with October in particular being the wettest month of the year. In spite of this, Franz Josef will still expect, on average, 1,900 hours of sunshine per year. The summer months of December, January and February bring relatively warm temperatures, with highs averaging around 19°C, and lows of around 12°C. February tends to be the warmest month of the year, where temperatures may well break into the 20’s, and also happens to be the driest month of the year. However, rain is still very apparent in these months, so packing a light raincoat will probably be a good idea! March, and autumn, carries on the relatively high temperatures found in the summer, but as April and May approach, these temperatures begin to drop, to an average high of around 15°C, and lows dropping into single figures. June, July and August welcome winter, where temperatures will drop slightly, with average highs being around 12°C. However, lows will often linger around the 2°C mark, with the winds blowing in from the ocean often making this feel colder than it is. If you are planning on visiting the glacier itself during the winter, warm, practical clothing is strongly recommended, as temperatures will be a lot lower on the glacier itself! September and spring brings a delightful range of plant life to the region. Due to the higher levels of precipitation, plant life thrives in Franz Josef, and the rainforest is a prime example of this. Average high temperatures start to creep back into double figures during October, and continue to rise into November, reaching an average of around 11°C. Low temperatures still tend to remain quite low, with an average low of around 6°C. 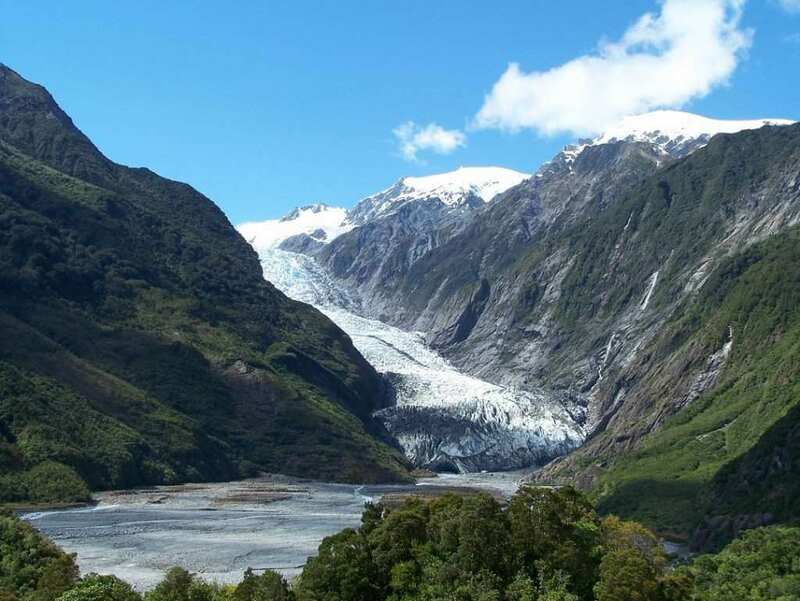 However, with so much to see and do in Franz Josef, the temperature will not stop those who want to witness the beautiful sights of surrounding areas, and of the glacier itself.